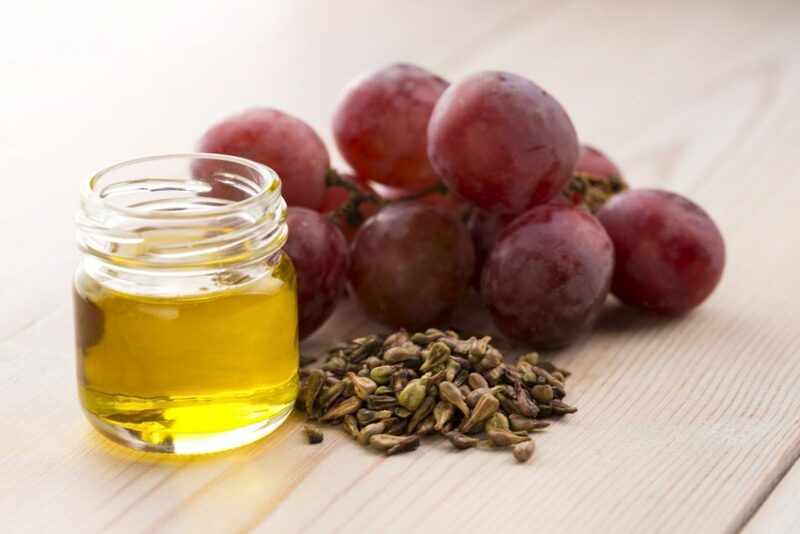 Grape seed oil is a very valuable substance used in cooking and cosmetics. It is extracted through cold-pressing of grape seeds. An unrefined product contains the largest amount of nutritional ingredients, including linoleic acid, vitamins A, B and E, carotene, potassium and calcium. If you want to find out how grape oil works, make a hair mask with this product. You need the following ingredients: an egg, body butter, paraffin oil and grape oil. If you want your cosmetic to smell nice or have some extra properties, you can add a few drops of argan or rose oil. Then, mix all the ingredients well. Choose proportions to match the length, thickness and condition of your hair. Apply the mixture to dry hair. Put on a shower cap and a towel for better action of the components of the mask. Wash it off after more or less 30 minutes. You can make a grape oil mask in a different way if you want. Prepare: an egg, lemon juice (from half of a lemon), two teaspoons of castor oil, two teaspoons of paraffin oil, one tablespoon of grape seed oil. Mix all the components well. Apply the mixture to dry hair. Put on a shower cap and a towel to allow vitamins, minerals and other nutrients to be absorbed. Wash your hair after 30 minutes and let it air-dry. What are the effects of grape oil hair mask treatment? Your hair is soft to the touch, shiny and easy to style. Antioxidants, included in the oil, make hair and scalp look young and healthy. What is more, the product reduces free radicals, slows down ageing processes, hinders premature greying and stops hair loss. Grape oil controls the work of hair follicles, reduces excessive sebum production and prevents greasy scalp. Moreover, it smooths, adds shine and doesn’t weigh hair down. Do you know that grape oil is ideal for hair oiling? It contains omega-6 and omega-3 acids, therefore it is a polyunsaturated oil. It is recommended for high porosity hair. Hair oil treatment should be very short – hair with highly raised cuticles absorbs water and other liquid substances quickly. Apply a large amount of grape oil to dry hair; remember about scalp and hair ends. Leave the product in for a few hours or overnight. Wash hair thoroughly in the morning and let it dry naturally. Which grape oil should you choose? The unrefined and cold-pressed ones are the best. Pay attention to storage, shelf life and organic certificates while shopping. Grape oil should be stored in a dark glass bottle, away from light, dampness and air. Only then will it bring satisfactory effects.